it is a valley located just some km from the city of Bologna and it is really interesting for those ones with photographic interest. Azienda Agricola Val del Pozzo has started cultivating lavender some years ago and they now produce oils and soaps to their visitors. We went there on Sunday evening. Sadly there were no boards or signs with indications so we had to stop several times in order to get the correct direction from the few people around. For this reason it took a while to reach the place but was not difficult at all. At a certain point we had to leave our vehicle, we walked about 1 km through the unpaved road until the lavander valley. There were plenty of people there! Some of them with ceremony dresses and shoes in order to take a great profile picture for their Facebook page. So many photographers taking pictures here and there. It had been a pleasant way to spend a different evening. If you are living close to Bologna you should visit this place during its flowering days which goes from the first to the fifteenth of July. 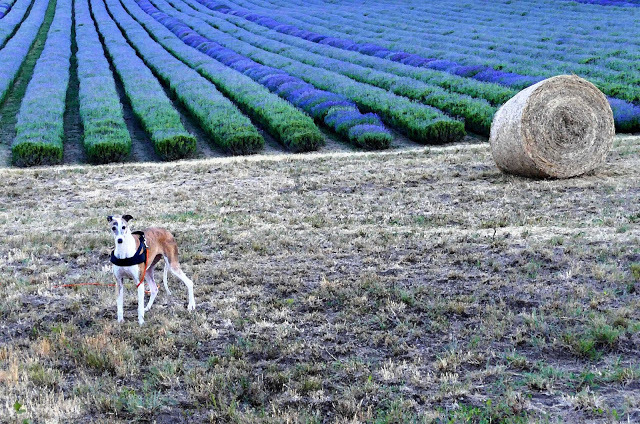 The picture has so much of lavendar inside it. The blue colour automatically transports you to that flower. Is it the dog in the picture? It is looking at you so keenly, as if it wants to say something. Wow this looks like a really beautiful place. I bet the smell too was really awesome as lavender has a pleasant scent. Wow ! I never knew that this existed. Thanks so much for sharing . It's really beautiful. 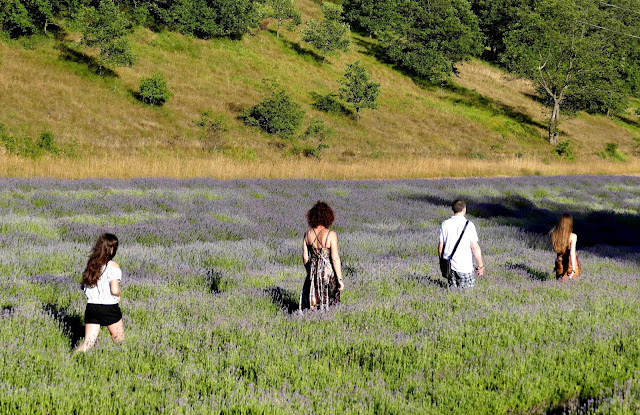 Lavender fields are really a thing of beauty. 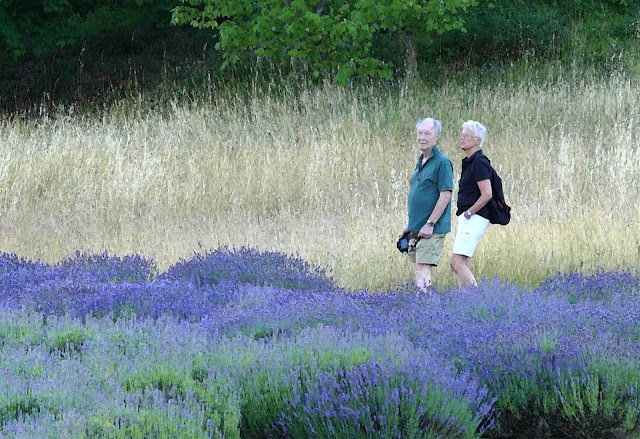 Always associated them with Provence. But I see that there is piece of this enchanting beauty in Bologna also. Loved the pics, they bring alive the colour and vibrancy stunningly. 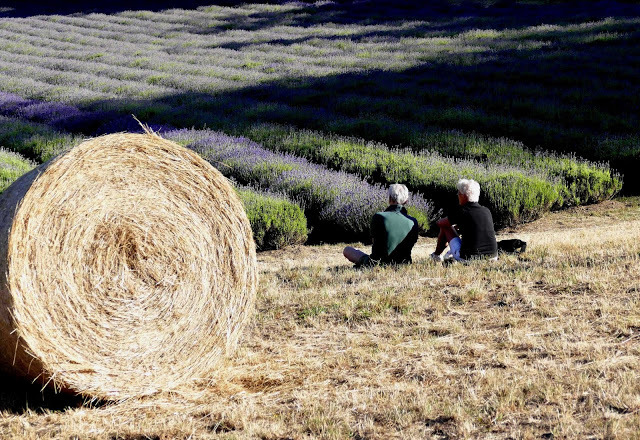 It looks like heaven to me, and the lavender just adds to my point. Italy is such a beautiful and abundant country, there is beauty in every corner. I would love to visit this piece of heaven one day. Thanks for sharing it! I had the same sensation as well. Seemed to me a piece of heaven! It sounds like a lovely place! I love all the shades of lavender!